Video can be found here! How did a reunion come to be? I was talking to Scot Apathy, who is our web producer, and we were discussing how we were going to put archived videos of Stickband up on the site. We wanted to put up more than just the old videos of yesterday, so we decided to do interviews with members the band and the sound crew. Scot is always interested in creating as much content as possible, be it text, audio or video, so it goes without saying that we wanted any input that Emmett Chapman would grace us with. I called Emmett up and asked him if it would be possible for us to come down with a camera crew to interview him to get his thoughts on video and to let him know that any text that he could provide us with would also really be appreciated. One of his first questions was “Will Bob Culberson be coming with you for the interview?” I told him that I was sure that we could work that out (to be honest, I wasn’t sure at that moment, but I hoped that Bob would be up for it). Emmett responded that if Bob was coming down, it made sense to have a Stick Night featuring Bob and I. That sounded wonderful, and I bounced the idea off of not only Bob but Rick Allegra, drummer extraordinaire, as well. Rick had already been doing a CD project with Bob, so he was enthusiastic about the idea. 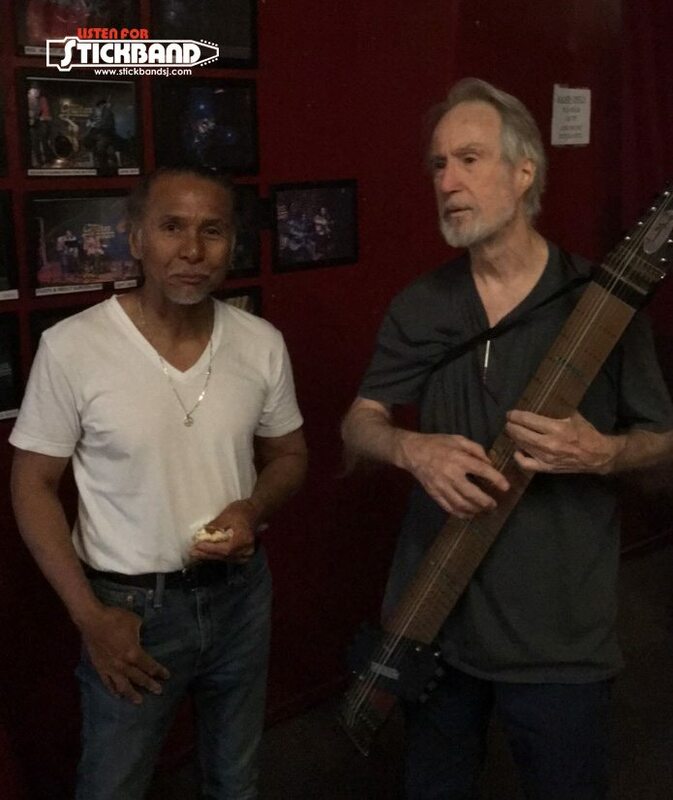 Now, getting Bob and Rick to say they WANT to do it and actually finding the actual date that they COULD do it are two entirely different things, as they are both extremely busy working musicians. We also had to coordinate with Emmett. We had a date in mind, but it turned out that Rick was going to be in Las Vegas with Paul Williams – yes, the same Paul Williams who’s written hit songs like ‘We’ve Only Just Begun’, ‘The Rainbow Connection’, ‘Rainy Days and Mondays’ and ‘Just an Old-fashioned Love Song’. 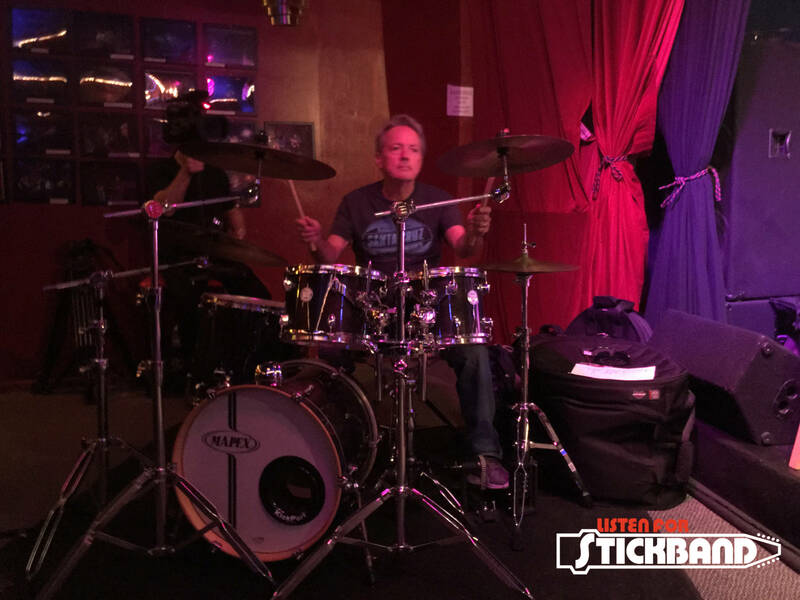 Rick has been Paul Williams’ drummer for over 30 years. So much for THAT date. 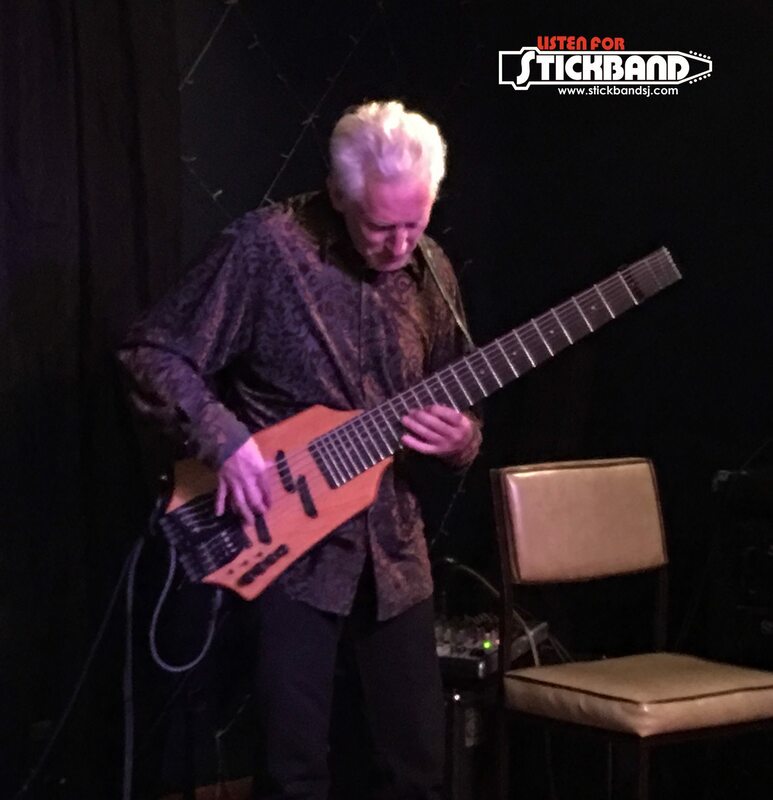 Bob Culbertson is just as busy traveling all over the country/world doing Stick seminars and concerts, and had a full schedule. Just when it look liked it just wasn’t going to happen in 2017, Bob’s schedule changed a bit and low and behold, synchronicity! We had a new date that we all would be available for. 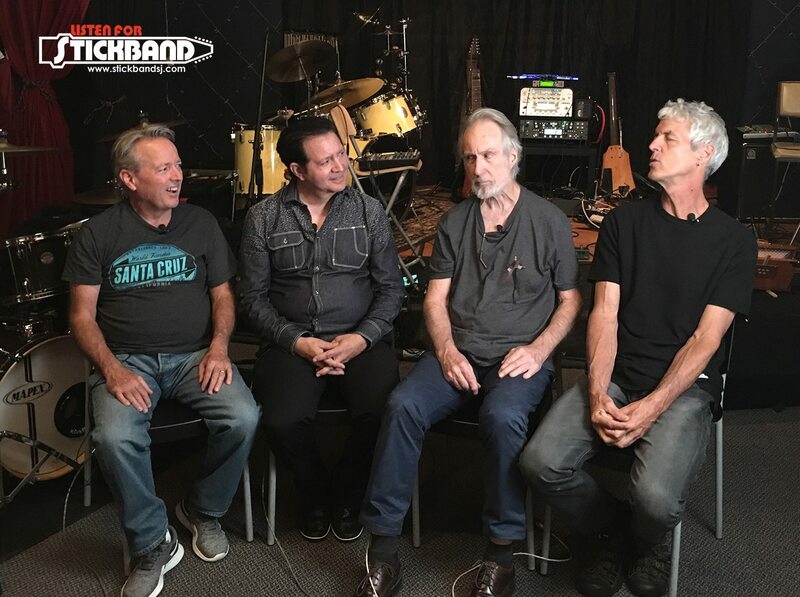 During the course of this, we also had some video interviews for the website with Bob Cooper, our original drummer and a founding member of the group, along with our old sound crew. That was a great day of reminiscing and enjoying each other’s company. 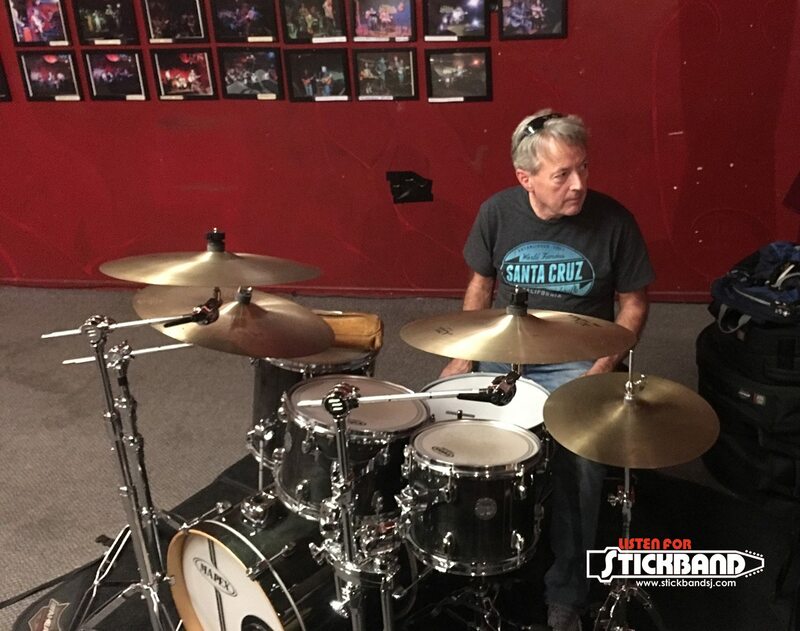 Almost immediately, Bob Culbertson and I started discussing how cool it would be to actually get together with Bob Cooper to play some of the old Stickband originals from early on in the group. 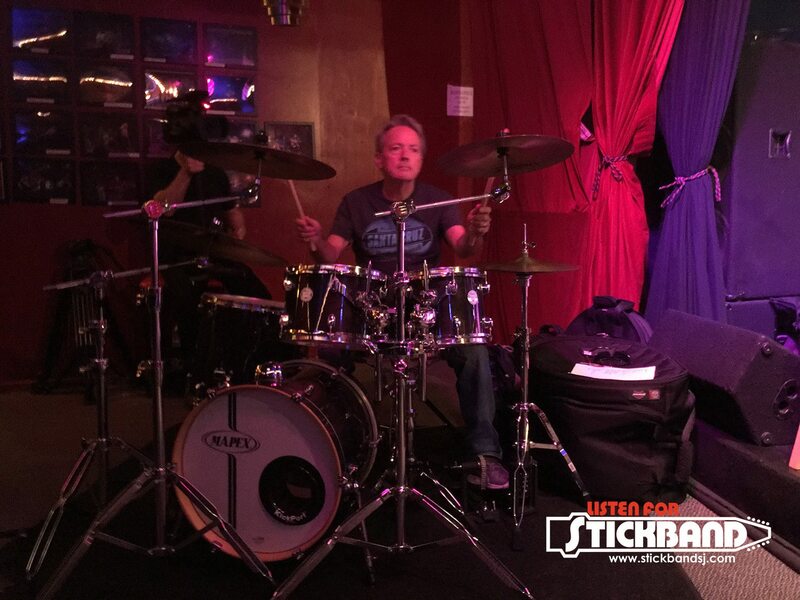 Could we feature two drummers at the Stick Night show? Could we make it work? Heck yeah – we’d find a way for sure! We called Bob Cooper and ran the idea past him with the hope that he would be available for our chosen date. There was a bit more juggling of times and dates, but we finally reached a date that worked for everyone. I then called Emmett to discuss the details and to talk about possible venues. He looked at the lineup and thought that we should bring one more Stick player into the lineup, and he knew just who it should be. 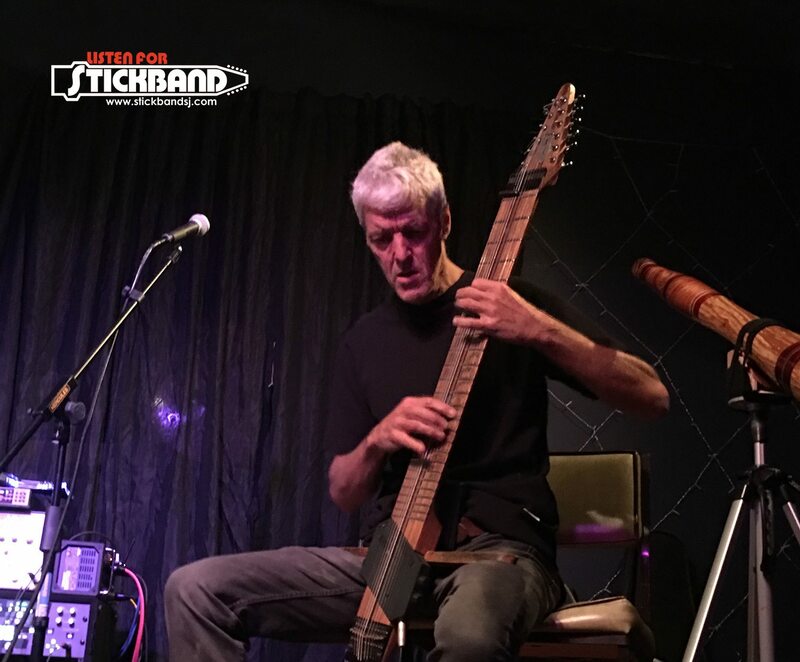 Don Schiff is not only a great Stick player, but he is one of the world’s greatest NS Stick players, and since he and Bob Culbertson live pretty close to each other, Don just seemed like the perfect addition. He was very gracious and excited at the thought of this lineup, and was available on our chosen date. Again…synchronicity. 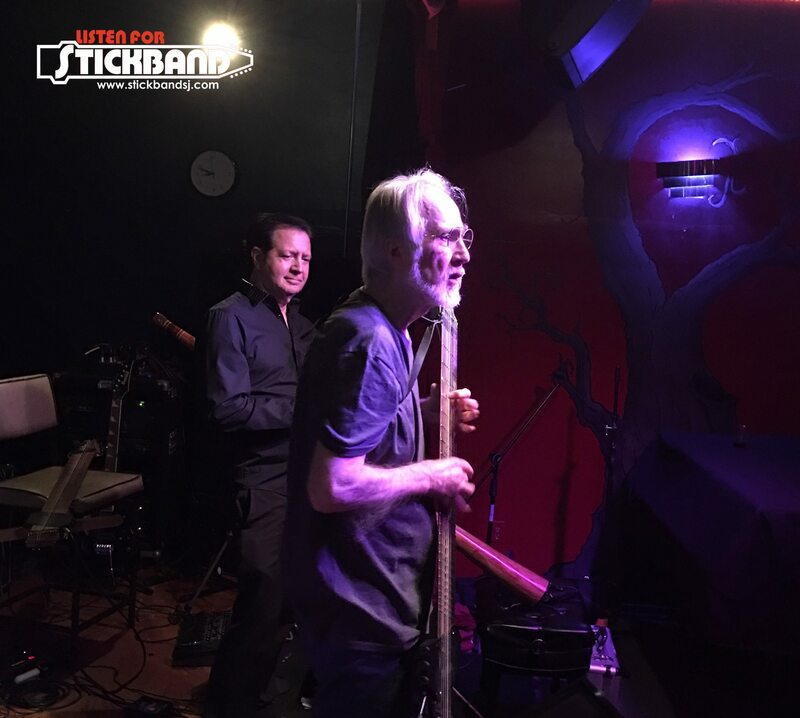 So there it was – we actually had a reunion/revival of the original founding members of the Stickband, along with Emmett Chapman, the creator and inventor of the Stick, Bob Culbertson and Don Schiff, two of the greatest and most well-known Stick players in the world, myself and two of the most talented drummers out there – all in one evening. All the things we anticipate in our lives start off as something that’s going to happen in the future, something that becomes the present and finally becomes in the past. 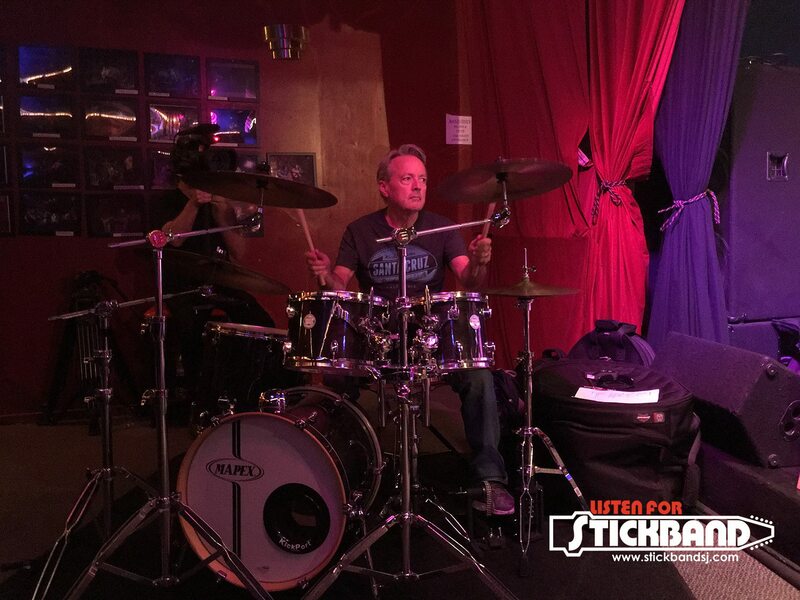 And so it went with Stick Night, the Stickband Reunion night – September 23, 2017. I spent quite a while preparing for the Stick Night reunion show in L.A., and it was really a great show and a lot of fun. First – it was, and is always, a great honor to get to hang out with Emmett Chapman, although in reality, it’s like hanging out with a very old, dear friend, because that’s what he is. We have been friends for a long time. 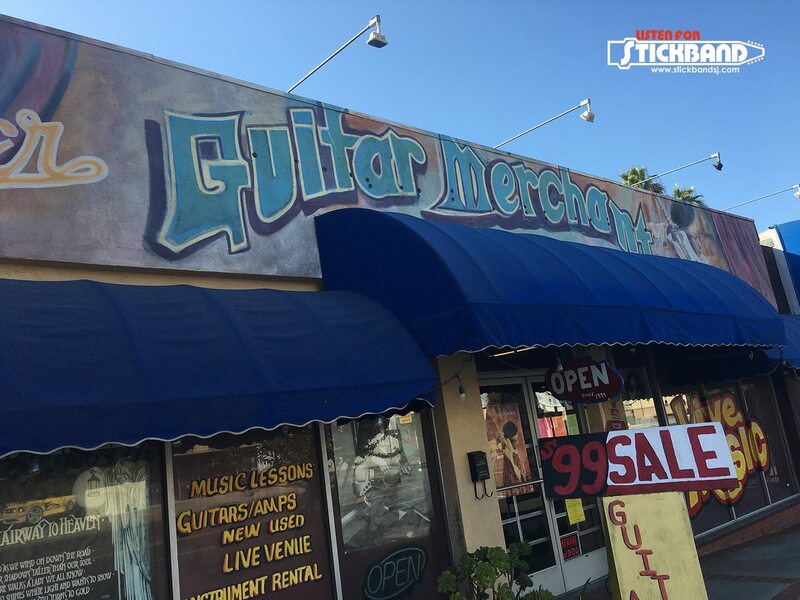 We were at a venue that is a little concert hall in the back of an unassuming LA music store by the name of Guitar Merchant. 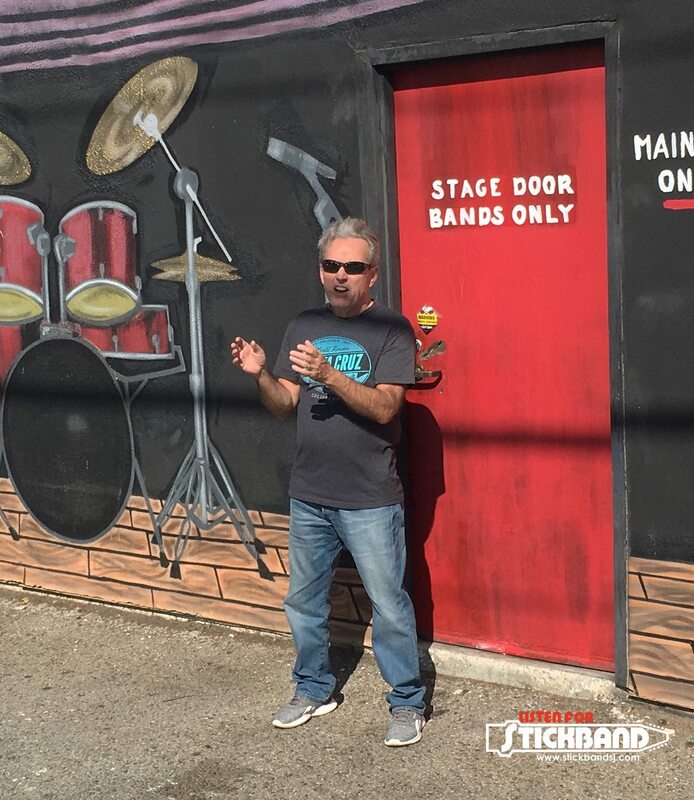 This is a venue that Emmett uses pretty regularly to have his Stick Night performances, and many of the best players in the world have performed at those Stick shows. The venue is tucked away at the back of the store, behind the music classrooms. It’s not large, but has a great vibe about it – it’s warm and inviting and looks very much like the sort of place you’d go to see top musicians do their thing without ego and in an intimate setting. It’s owned and operated by a very nice guy named Phil, who has a great deal of respect for Emmett and is extraordinarily accommodating. Emmett’s approach to Stick Night is very laid-back, casual, and very comfortable. The format for the show was to have each performer or group (Stickband) perform two songs before moving on to the next performer. 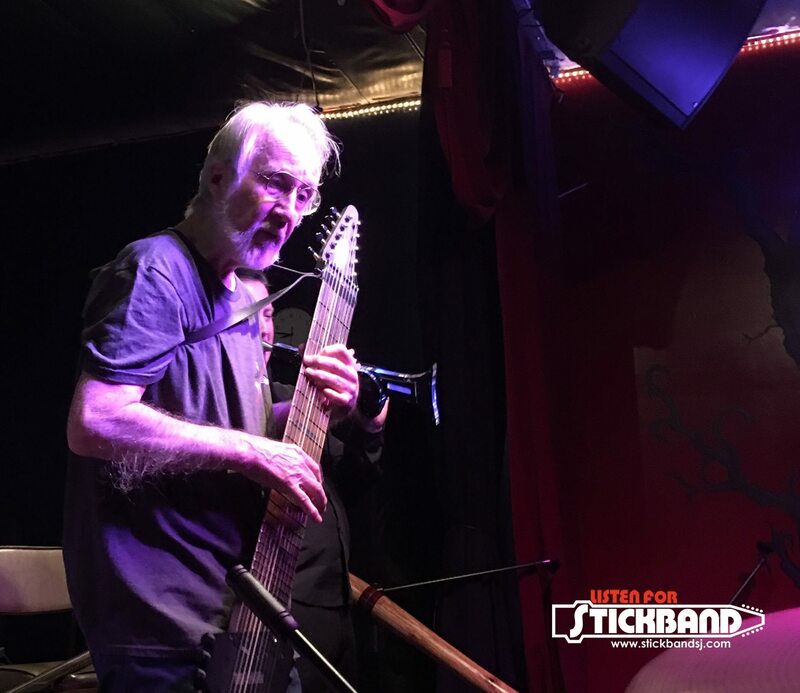 We did that all night long – two songs for Emmett, two songs for Don Schiff, two songs for Stickband and two songs for Bob Culbertson and Rick Allegra. Then we started it all over again. Rotations like that keeps the night pretty interesting, as each performer brings a different energy and we keep on moving through new and interesting players. One of the high points of the evening for me was getting to jam with Emmett. I played my electric trumpet with Emmett on Stick and Rick on drums. Emmett, of course, played his Railboard Stick, which has become his primary instrument. We did ‘Autumn Leaves’, a good old jazz standard but when you’re using the type of instruments we were and changing the time signature, it keeps even old standards interesting and fresh. 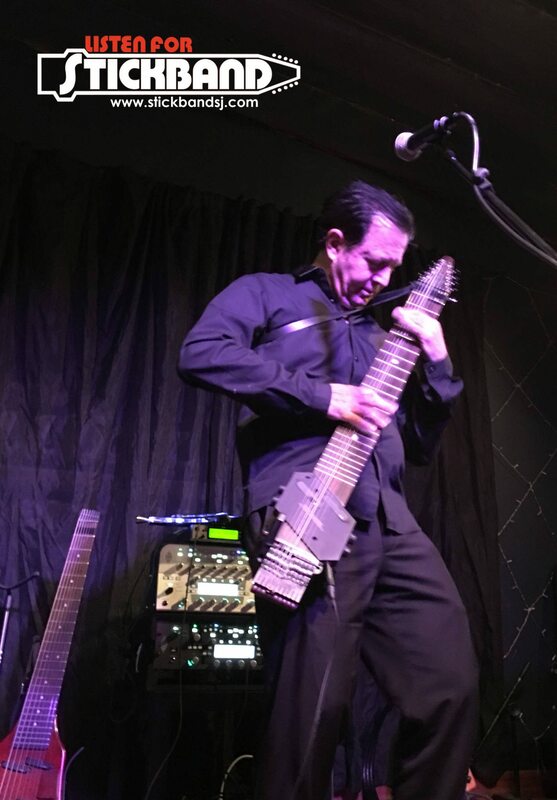 Emmett kicked off the show with his very unique playing style, followed by Don Schiff performing on his NS Stick. Don’s performances were wonderful all evening long. 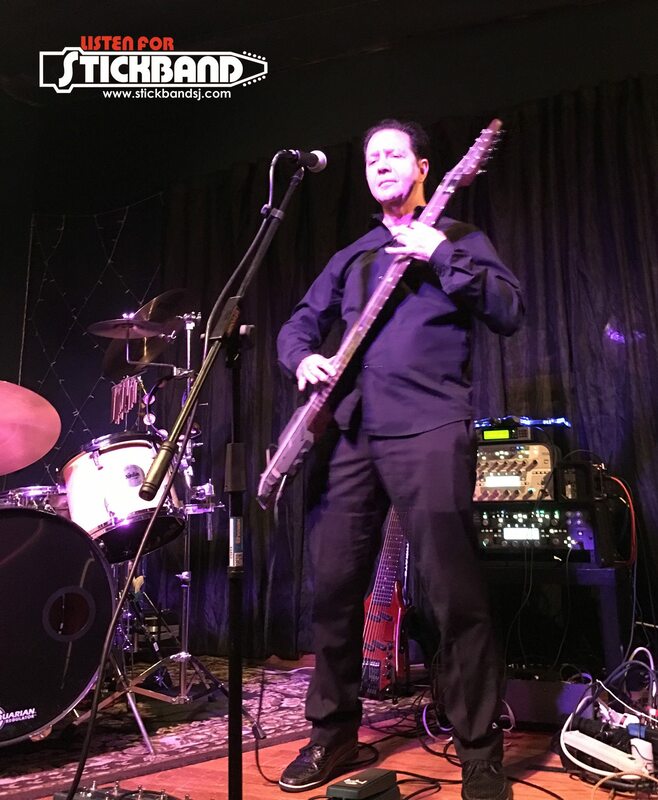 He’s a masterful player and quite fun on stage – he really lets his personality shine through, which works especially well in a small venue. 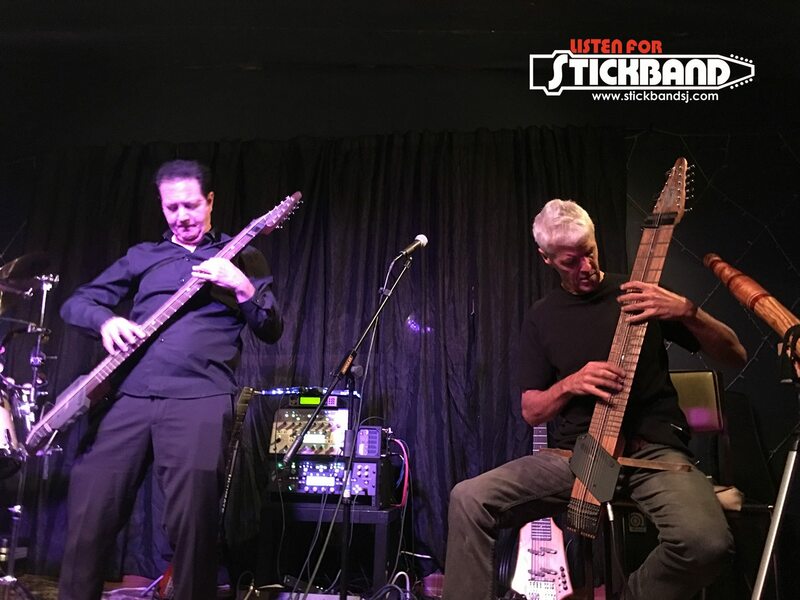 From Don we moved on to Stickband – Bob Culbertson, Bob Cooper and myself, performing original material from back in the day. 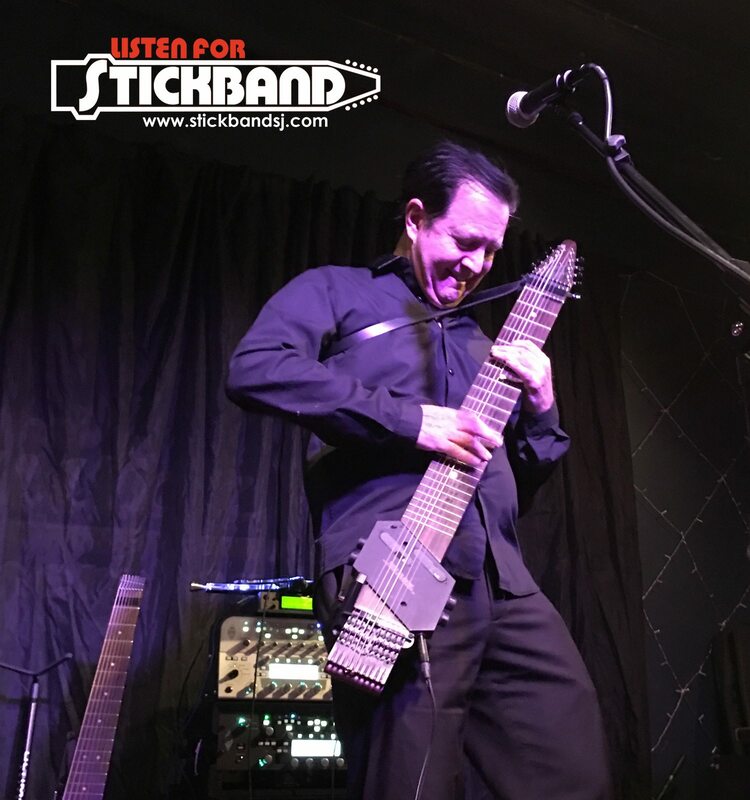 The cool thing about the original material is that it’s really not dated, especially when you are playing on Chapman Sticks. 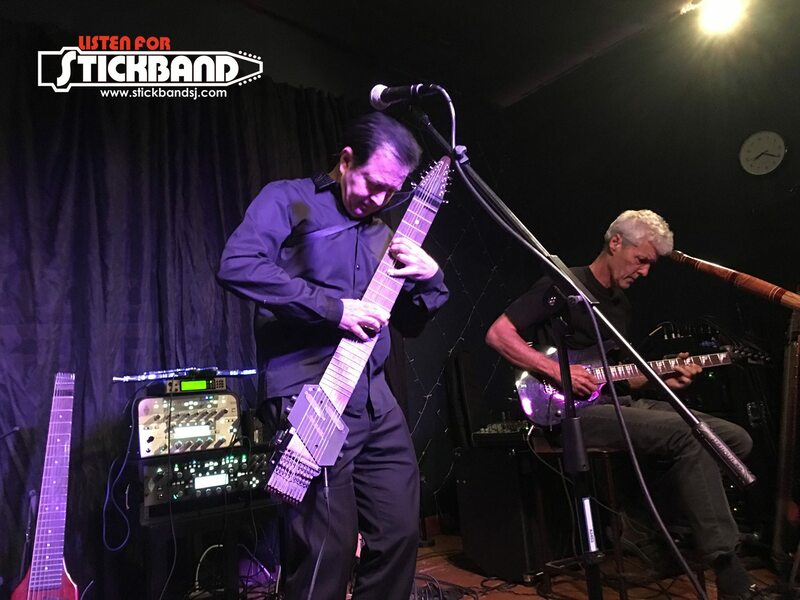 From the Stickband, the show moved to to Bob Culbertson and Rick Allegra playing some high energy material from their album. They’ve been playing together for a long time, and they are both amazing players, so it was a real treat and a highlight of the show to watch them play. 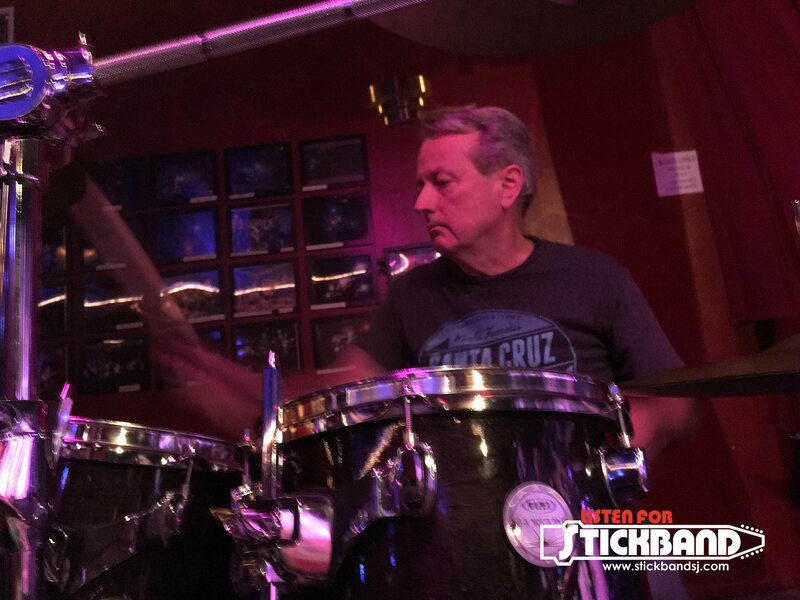 So what was it like to be back onstage with Stickband? There I was, after six months of working on this website thinking about this very moment. 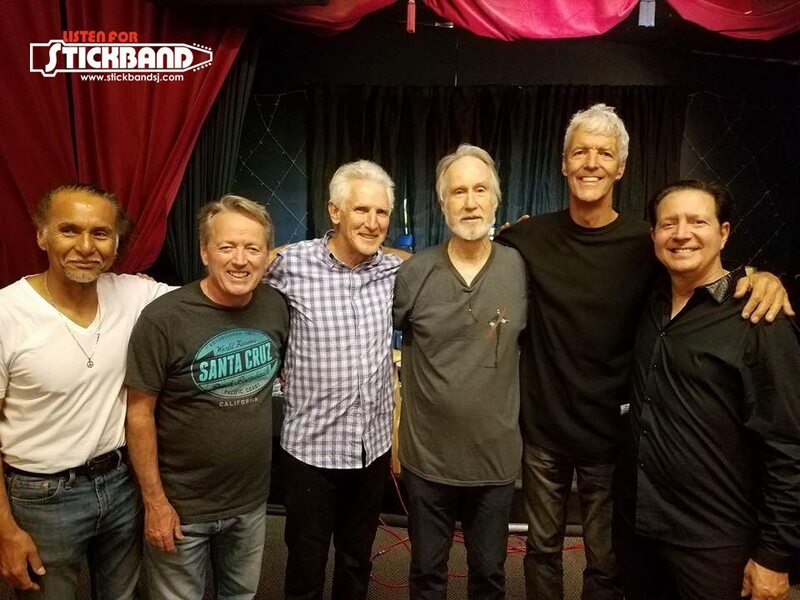 I put in tons of preparation in anticipation of doing this concert, getting ready for this moment, standing onstage with Bob Culbertson and Bob Cooper on drums after so many years, performing the songs that we wrote so many years ago. 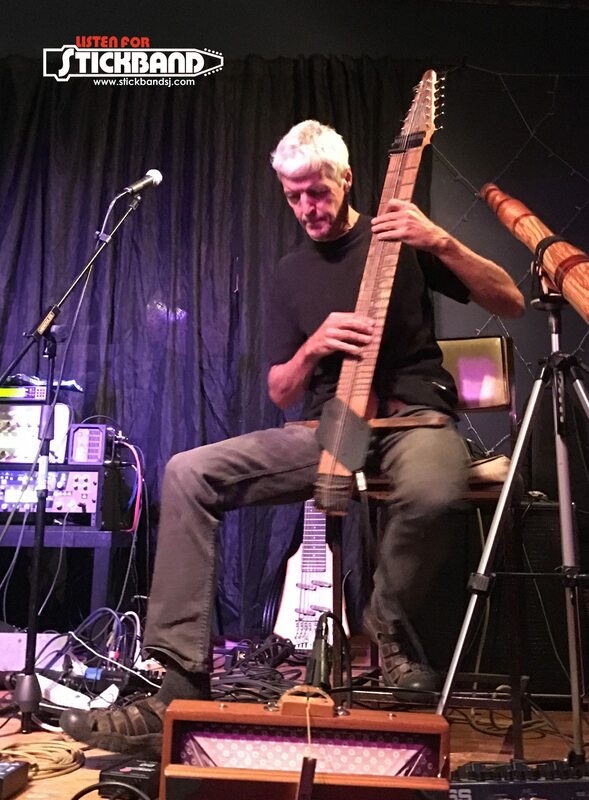 My fingers were moving over the Chapman Stick, playing one of our originals, and I felt like I was I time traveling, playing in a band that I played in so many years ago when both Bob Cooper and Bob Culberson and myself were very young men, playing music that we created together, music that we created using instruments that hardly anybody at the time in the world knew anything about. Honestly does anything get any better than that? Ask any musician what it feels like to be on stage when the music is right and everything is going the way it should. That feeling is so incredibly addictive; it’s why musicians never get tired of doing the music. 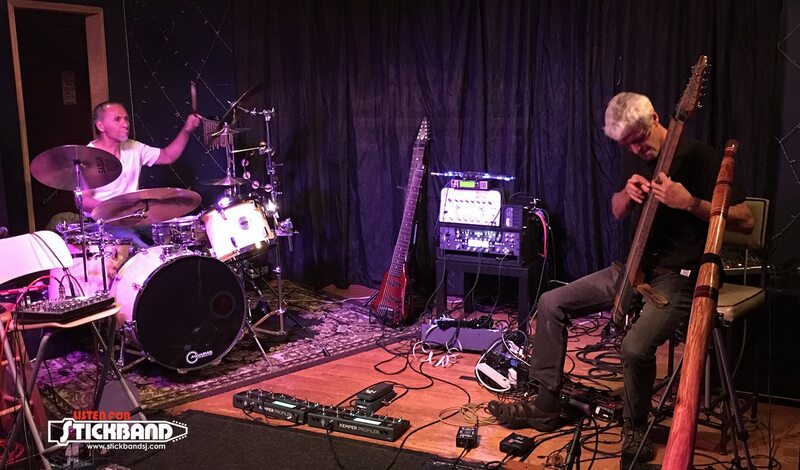 Our bodies may get tired and we may get tired of schlepping heavy gear around, but we never get tired of interacting with the music, never get tired of having the harmony swirling around in our heads and having our fingers hit the right places at the right time. Regardless of what the musical instrument is – a Stick, or drums, or a guitar or our voice – it’s magic. It’s Nirvana. It’s heaven on Earth, and it’s why we all do it. So how did I feel after six months of working on this website and at least four months of anticipating the idea of going to L.A. to play the show? I’m energized, thankful and happy. My interactions with Emmett Chapman playing my electric horns made it just that much better. I want to play more, to write more, to spend more time with my friends, doing what we love to do. The evening was documented on video, but there’s a lot of footage on multiple cameras, and it is going to require editing which does take time. Of course, as they become available, they will be uploaded to YouTube and will be available on the site. We’ll announce it on the StickbandSj Facebook page, so keep an eye out. There are so many people to thank for bringing that evening together and for what is coming in the future. Scot Apathy, our web guy, went to L.A. with us and was there keeping everything organized throughout the evening – Emmett’s brother Dan Chapman and his partner Mike, who shot the video – thank you very much, guys. And of course, the man himself, Emmett Chapman. 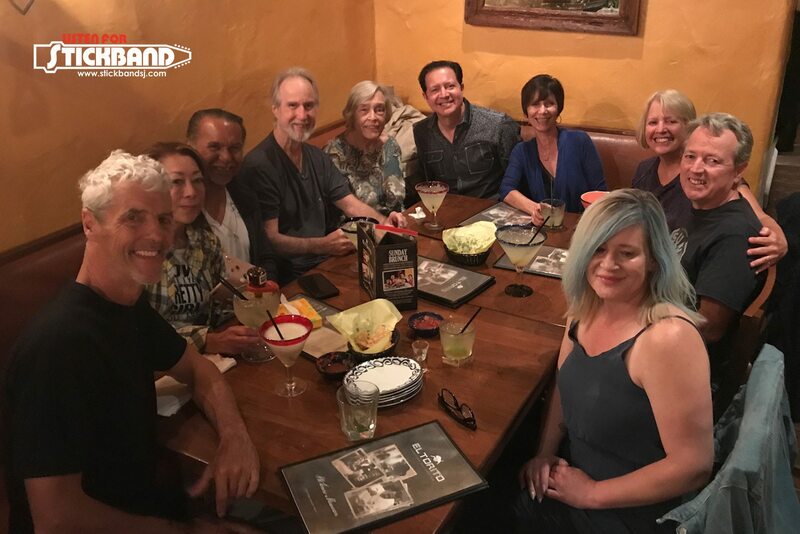 Thanks, Emmett, my good friend, for inviting us to L.A. for this great performance, and for dinner at your favorite Mexican restaurant the night before. 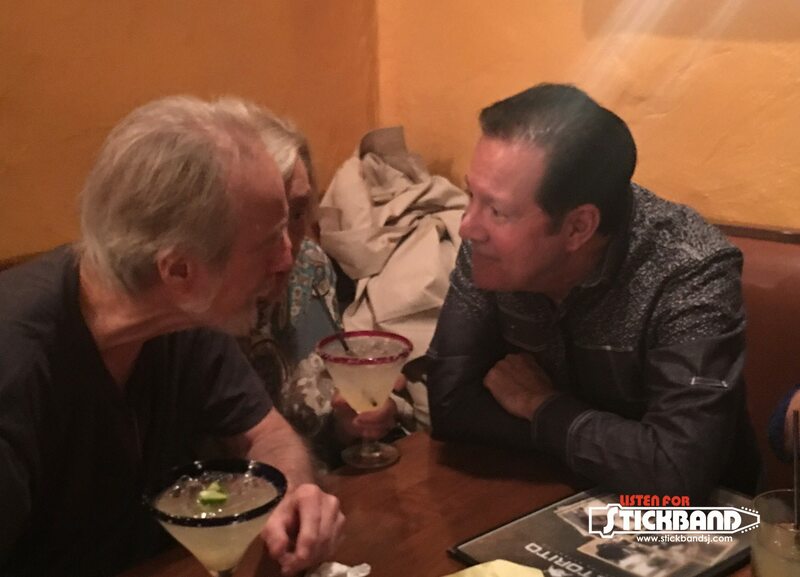 Plenty of of great conversation and margaritas to keep the party happening. For now, we do have plenty of photos. Enjoy them until we get the videos put together. 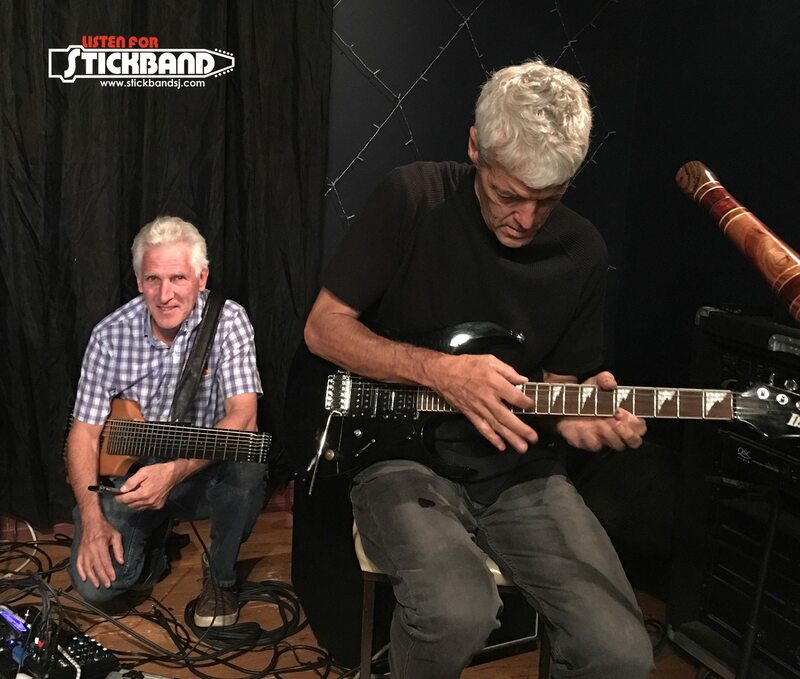 On May 21, 2017 Jim Bruno invited Bob Culbertson and me to join him for an exchange of memories and a videotaping of our thoughts on everything about Stickband. During our meeting, I suggested scheduling a time to play our music together again sometime in the future. I meant it to be a private event at Jim Bruno’s studio in San Jose. 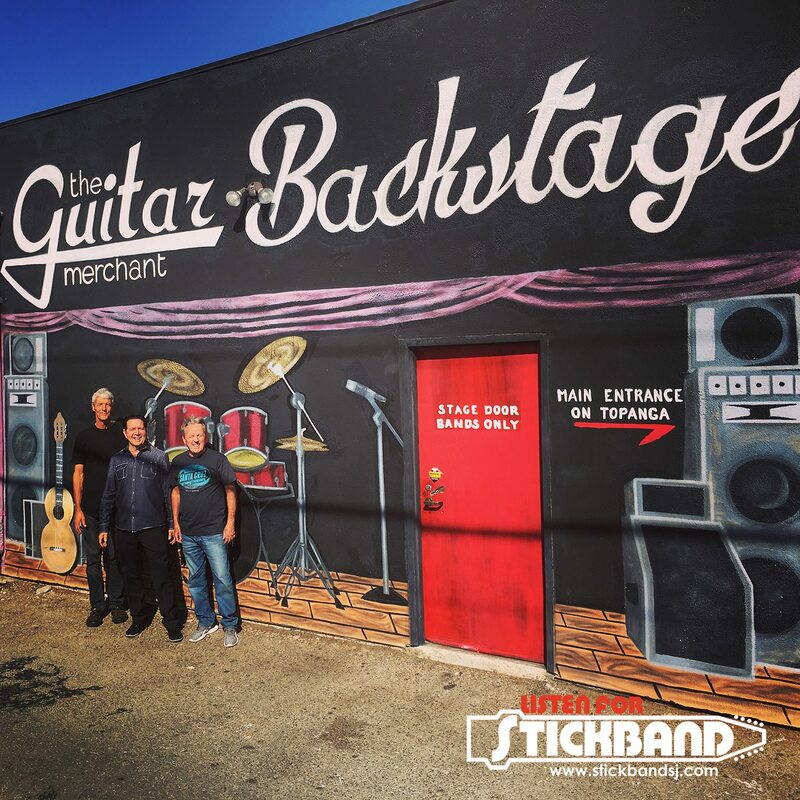 The possibility of a fun and impromptu jam session quickly developed into a plan for our first reunion gig at the Guitar Merchant in Southern California on September 23, 2017. I’m overwhelmed at the speed at which the Stick Night event came together. Special thanks to Emmett Chapman for spearheading the event. Schedules permitting, we may repeat our reunion gig in San Jose in 2018. I believe our original sound will come back to us rapidly. We’re all like finely-aged wine now and we’re supposed to be more tasteful players. Our music will groove a bit differently. I’m confident we’ll all bring our A-game and I’m really looking forward to playing with Jim Bruno and Bob Culbertson again. 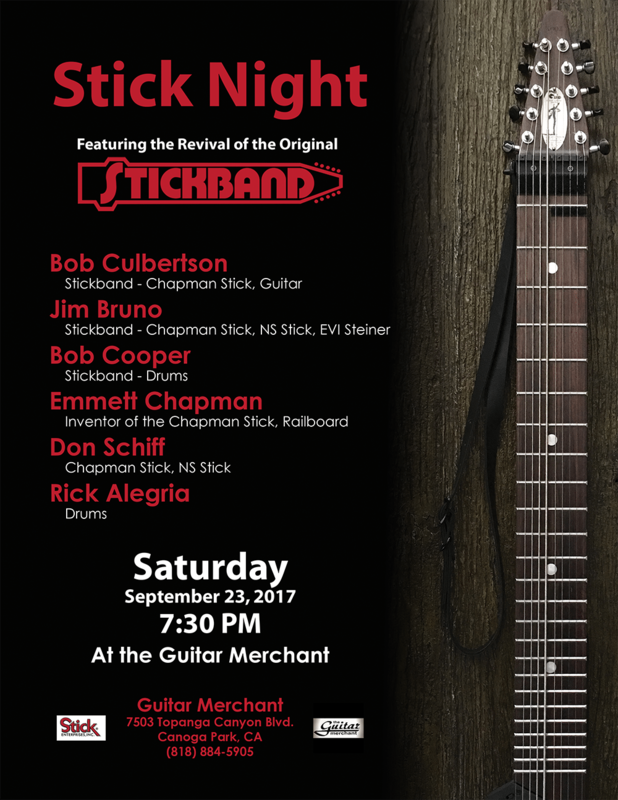 It will be very nice to see Emmett Chapman, Don Schiff, and Rick Alegria perform at the Stick Night event. I hope we get a nice turnout. I enjoy networking with musicians and I hope a lot of young players come out to see us. They are the future. 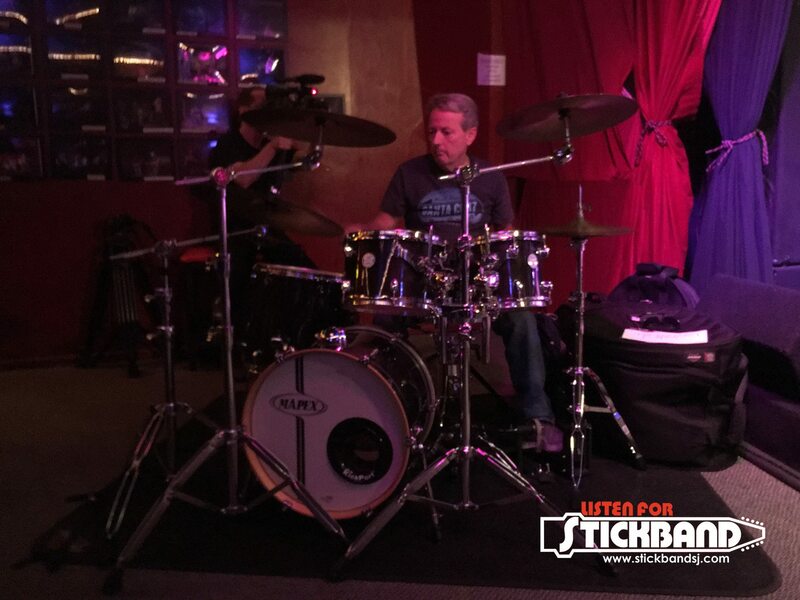 Now about Stick Night at the Guitar Merchant in Canoga Park, California, what a night, and what a unique and intimate venue for our Stickband reunion performance. 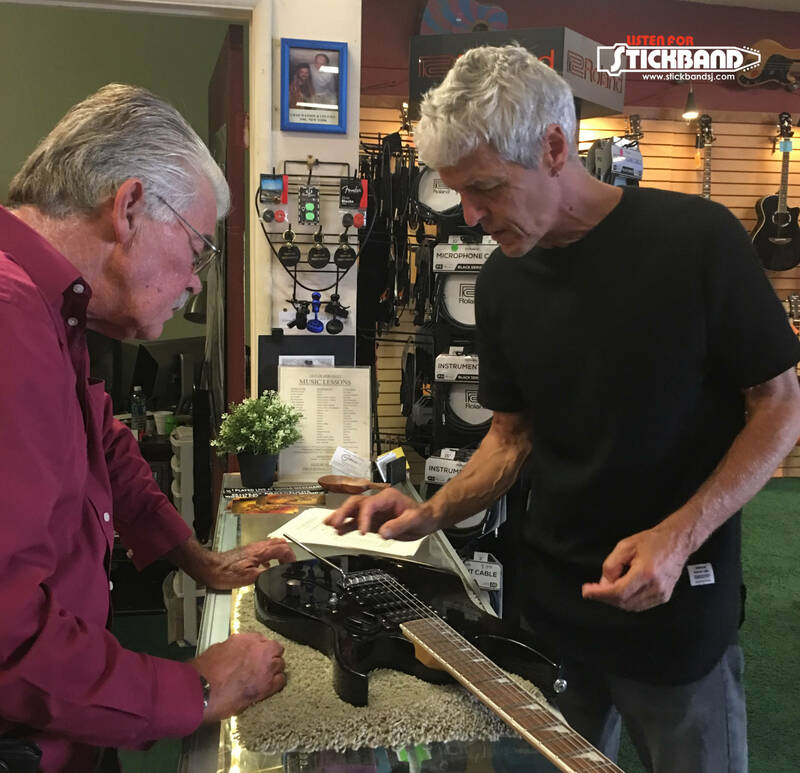 The Guitar Merchant staff were all very friendly and helpful. The evening performances were a revelation, a catalyst for invention, a giant leap forward for me, and another step in our creative evolution. First, a huge thank you to everyone participating to make the Stick Night event possible. Including the Guitar Merchant staff. Emmett Chapman for spearheading the event, hosting the wonderful dinner gathering the evening prior, and for performing brilliantly. Bob Culbertson, Jim Bruno, Don Schiff, and Rick Alegria for their performance excellence and as usual, being awesome. Dan Chapman for his video work. 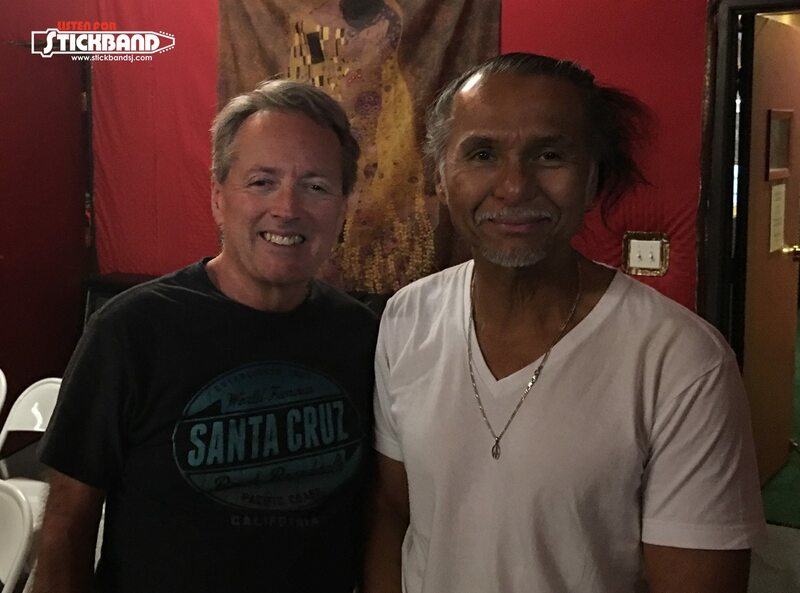 Another very special thank you to Jim Bruno and Scot Apathy for doing and managing everything to make Stick Night and the Stickband reunion a reality. 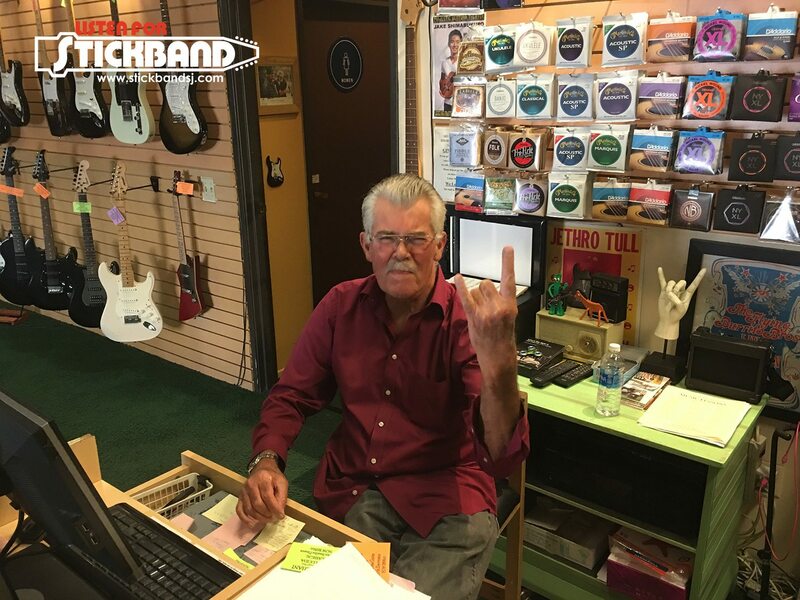 Another special thank you to Scot Apathy for his creative work on the Stickband website. And finally, a very special thank you to all the wives, girlfriends, and significant others who were all very supportive and gave us permission to drive for six plus hours and play music together in a land down under (Southern California). The entire event was a thrilling and deeply moving experience. 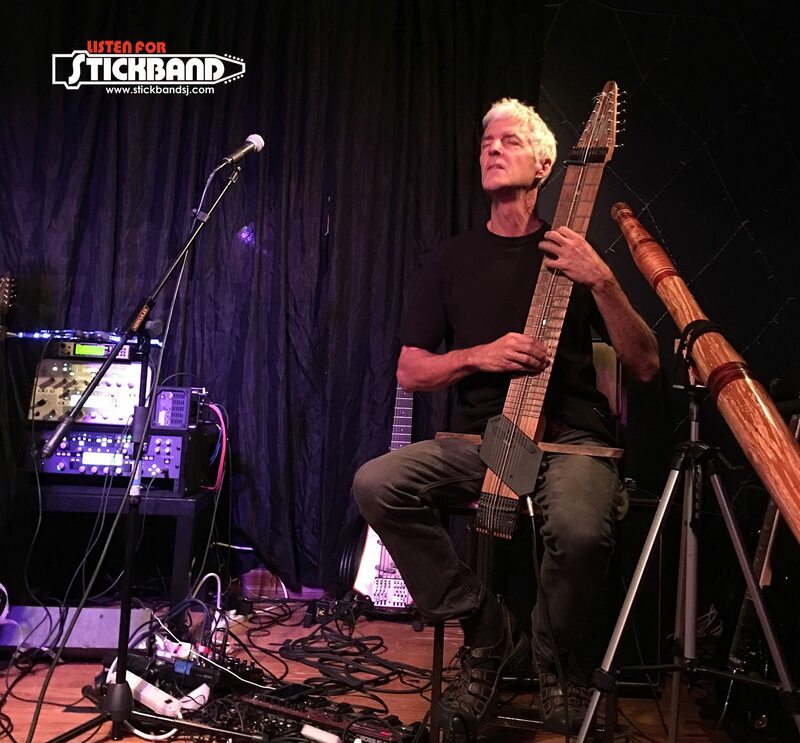 I especially enjoyed Jim Bruno’s comment about experiencing a feeling of time travel during our Stickband performance. 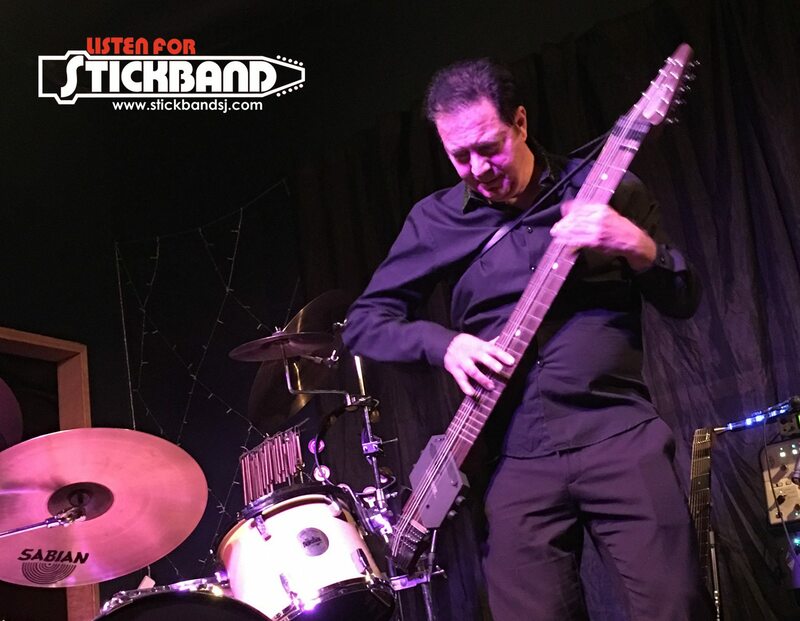 I felt the same sensation and I was quickly reminded of the high level of skill, professional musicianship, and physical endurance required to perform some of the original Stickband compositions. I’m going to deliberately emphasize the term professional musician. So, what does it mean to be a professional musician? There are many interpretations. My personal interpretation is: one who performs responsibly and entertains for a living. A creative individual who contributes a balanced and tasteful amount of music, always striving for excellence, and inspiring others. I believe that definition adequately sums up the musical talent at Stick Night. 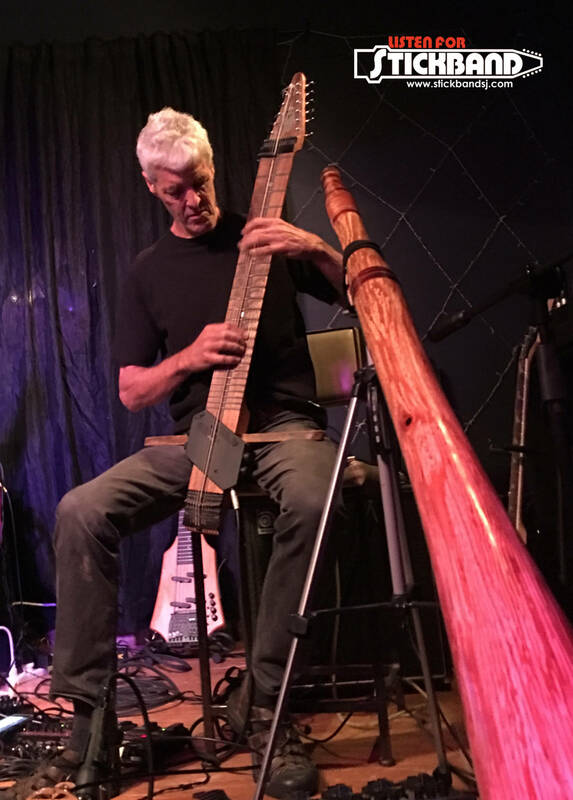 For the past thirty-seven years I’ve been happy and content to be a musical hobbyist. I left the music profession in 1980 in hopes of understanding more about myself and many other people in my sphere of living. Although I achieved most of my personal goals, I rarely performed again until 2012. Sadly, I have not touched my drums but maybe a half a dozen times in the past two years. 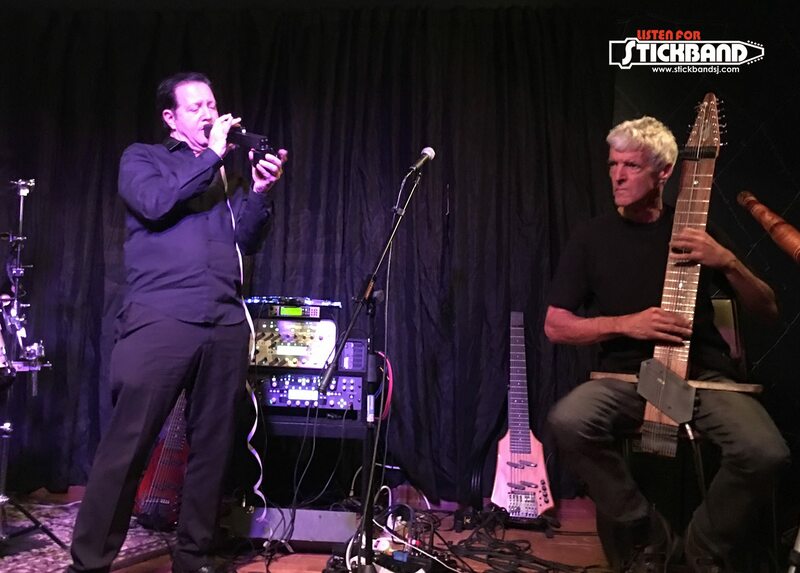 But here I am again, and at Stick Night, I was performing alongside highly polished and great professional musicians. Now way back in 1979, playing sixteenth note rudiments at 200 beats per minute was no big deal. I can almost hit that tempo today on a practice pad. 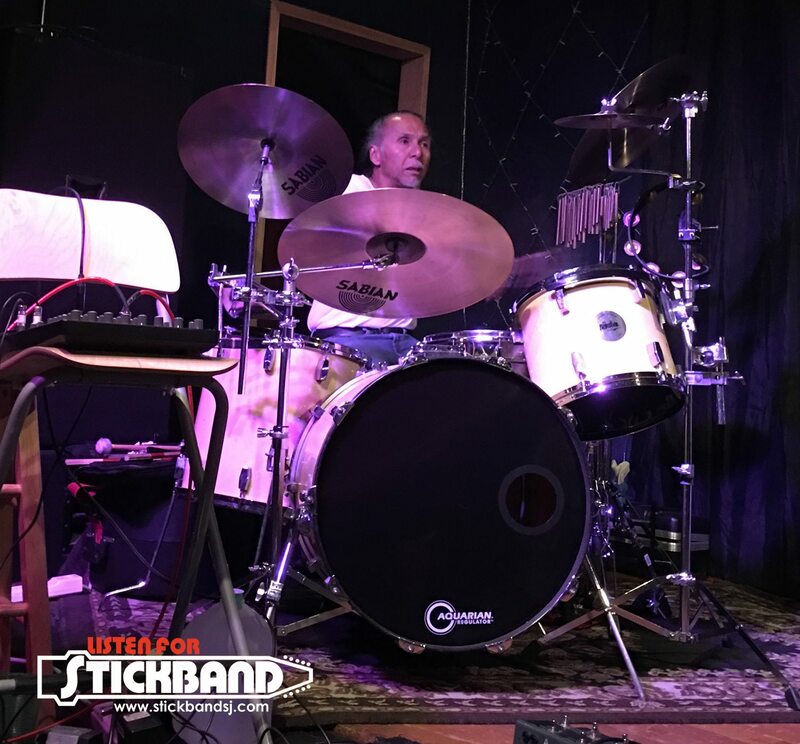 But taking a fast tempo live, with many complex rhythmic intricacies voiced across many acoustic, and electronic drums, and cymbals, on stage in front of an audience is an exhilarating proposition. 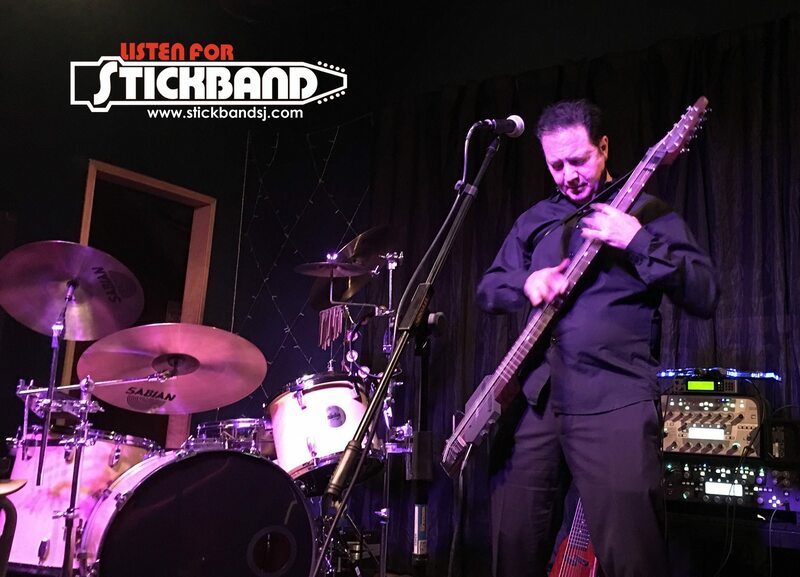 In Stickband’s original format, the high energy and highspeed tempos felt very natural, and it gave some of our music a unique dynamic quality. Thankfully, our tempos were slowed down substantially for Stick Night. Overall, I found my playing to be enjoyable but also somewhat difficult at times to convey a conscientious and accurate rendering of my original Stickband drumming. So, it was a little surprise to me and a bit of a disappointment when my muscle memory didn’t cooperate fully during some portions of our music. 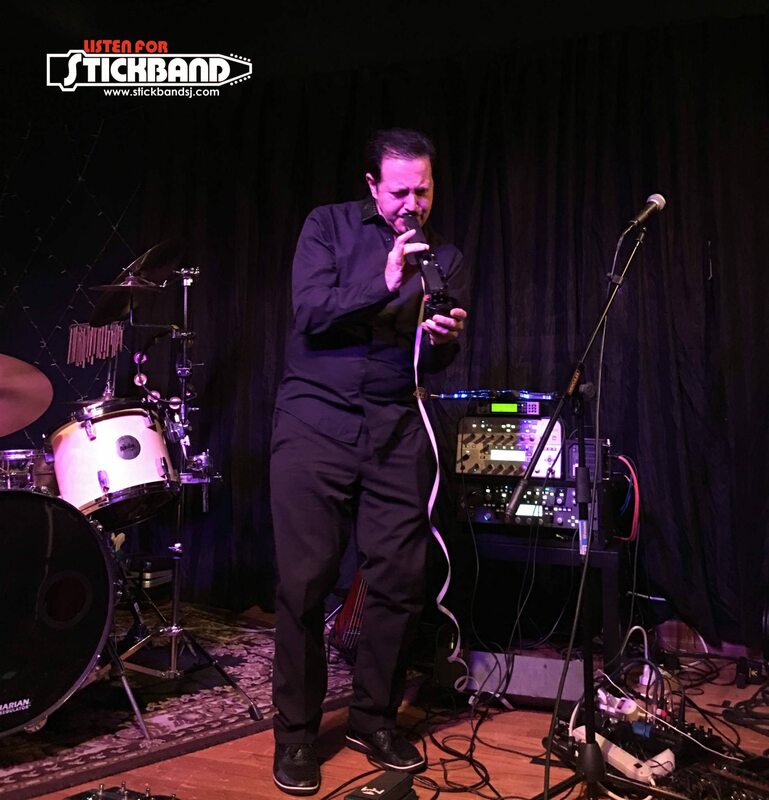 I was reminded again, of the importance of performing live often, and to be able to confidently execute all the exciting musical ideas one wishes to convey. Although, it’s been heart-warming to perform live again with Stickband and reflect on what we have accomplished, it is also deliciously intriguing to dream and imagine what we may be able to contribute, accomplish, and enjoy in the years to come and with the time remaining. It’s also nice to be semi-retired. I finally have some free time to begin exploring many of the new ideas I’ve been harboring for the past thirty-seven years. In closing, I’ll quote Jim Bruno, “it’s magic, it’s Nirvana, and its heaven on earth”. I say: “Let’s do it again sometime”.